Stretch the Hip Abductor Muscles to help with hip and back function. Why Stretch the hip abductor muscles? The hip abductor muscles are the group of muscles responsible for moving the hip away from the midline of the body. These include the Gluteus muscles, which make up your buttocks. 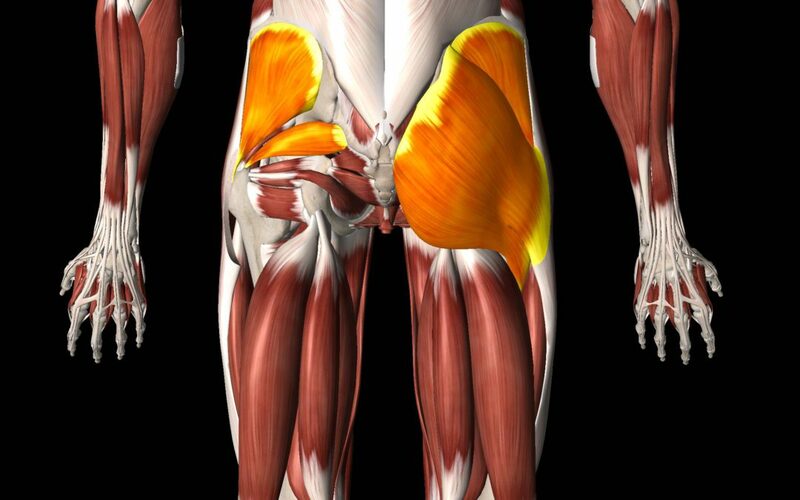 Also included in the abductor group is the priformis, which is one of four deep rotator muscles of the hip. Because of their location, these muscles play an important role in stabilizing the pelvis when standing. This is also crucial for good back mechanics. It is important to note that tight hip abductors will adversely affect your low back function and your gait (i.e. your walking and running). The abductors oppose the adductors (aka the groin). Balance between the two groups of muscles is essential. 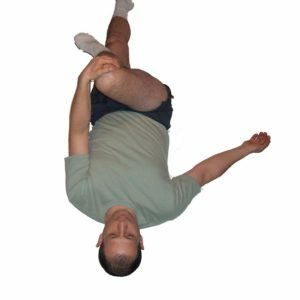 See How to Stretch the Groin or Adductor muscles here. How to stretch your hip abductors. Lie on your back with legs extended. Bring the right knee toward your chest. Your thigh should be about 90 degrees to your trunk. Keep the right knee bent and left leg extended. Place your left hand on the outside of the right knee. Pull your right knee towards the midline of the body, only far enough to feel a gentle stretch. Repeat same for other side. Stretch each side 3 times. You should feel this stretch in the buttocks or outside of the hip. If there is any discomfort in the front of, or deep within, the hip see modified stretch below. For both these stretches, your back and pelvis should remain flat on the ground or bed. Don’t pull hard toward the chest. The focus is on gently bringing the thigh across the mid line of your body. Bring your right knee toward the chest. Place the left hand on your right shin and the right hand on the outside of the knee. Pull your shin gently toward your chest and push thigh gently, with your right hand, toward the midline of your body. Do not lift your hips or pelvis from ground. You should feel this stretch in the buttocks or on the outside of the hip. Repeat same for the other side. Domenic Lopez B.Sc., Certified Exercise Physiologist and licensed Massage Therapist, is owner and operator of Healthy Moves, a private practice where massage therapy and movement education help you achieve better living.